The â€œArt of Eight Limbsâ€ isnâ€™t like fighting a giant, human-sized octopus (Octornado?). Developed over one-thousand-years ago as a form of Thai military combat, Muay Thai uses kicks, punches, elbows, and knee strikes to disarm and dismantle opponents. But, in this case, it might just be used to strengthen your thighs. Anyways, learning this craft, youâ€™ll accomplish everything from building biceps to learning how to conquer the Burmese warriors who were after King Ramaâ€™s head. Even though New York contains an endless supply of martial arts gyms, there are only a few that rank among the best. Here are our favorite three. This place might be the most complete Thai kickboxing facility in New York City. 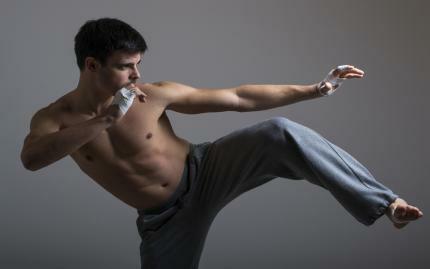 With classes taught by a former Muay Thai champion, this is where you go for high level fight-prep training. We took an hour long Beginner Muay Thai class that kicked us, so literally, into shape. The class consisted of basic Muay Thai techniques like shadowing, pad work, bag work, and drills. It began with skipping rope, stretches, and a high-intensity warm up. Honestly, the muscles began burning after this point. From there, we ventured into footwork drills, bag work and shield work. Considering most of us in class had no idea what we were doing, CROM patiently led us through the exercises as we flailed our limp arms at the pads. Class finally ended with some basic calisthenics: push ups, lunges, squats, and crunches. After class, the arms, legs, abs, everything burned. This class was phenomenal in that it not only taught me a bit of self-defense, but also taught me how to not throw punches like a five-year-old pretending to be a Power Ranger. Does your workout routine need a kickstart times eight? 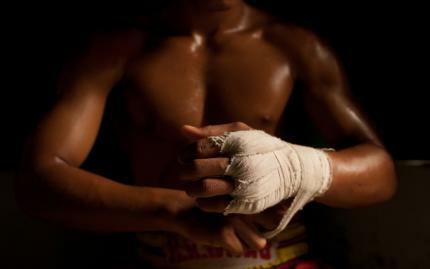 Muay Thai is an ancient Thai martial art that dates back over 1,000 years and is known as the ?Art of the Eight Limbs.? In this class, you?ll utilize your hands, knees, shins and elbows to get one hell of a workout, as well as overcome your opponents. This rigorous training will condition your entire body to build strength, endurance, and coordination as you gain self-assurance in your defense techniques. Of all the classes listed, Church Street Boxing provided the most knowledge of all-around fitness as opposed to Muay Thai exclusively. The staff members are all impressive professionals in their fields and ensured that everyone in the class voiced their personal interests and goals before beginning to train. In a Church Street Muay Thai class, we werenâ€™t mindlessly transitioning from knee strikes to punches but explicitly taught the reason behind each calculated movement which truly makes all the difference. Iâ€™ve ended up getting into -- hands down -- the best shape of my entire life without even realizing it! I also appreciate the rustic, fight-only look of the gym. Authenticity always wins me over. Oh and did I mentioned the Motown background soundtrack to your kicks and punches?